PyFirebirdSql 1.0.1 is released with ipv6 support and other fixes that can be reviewed in the commits log . * finish: do not check uninitialised status vector If statement type is isc_info_sql_stmt_exec_procedure,isc_dsql_free_statement is not called and there is no point checking the status vector for errors. An error there may be from a previous call, or just plain garbage. Jiří Činčura announced that Entity Framework Core 2.0 provider for Firebird is now in beta stage. Powerful new feature for Two-Way synchronization between Firebird SQL (Windows) and AWS Aurora-MySQL (a fully managed database with no servers). This enables developers to extend on-premises systems to the cloud, be able to use MySQL-Aurora for web transactions with the added benefit to return subsets of data to Firebird. 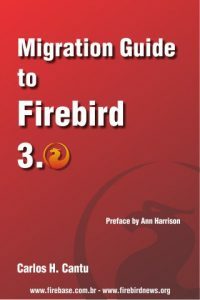 SQL Maestro Group announces the release of Firebird PHP Generator Lite, a free yet powerful Windows frontend to generate data-driven web applications for your Firebird database without programming experience. Most of software features can be seen in action in the Live Demo. There are also versions for other DBMS (MySQL, PostgreSQL, SQLite, Oracle, etc). Read full press-release.